By incorporating video into their RFID tracking solution, retailers can gain additional insight that allows them to actually see the circumstances around the last time a product was read by an RFID reader, ultimately affording them even more value from their RFID investment. 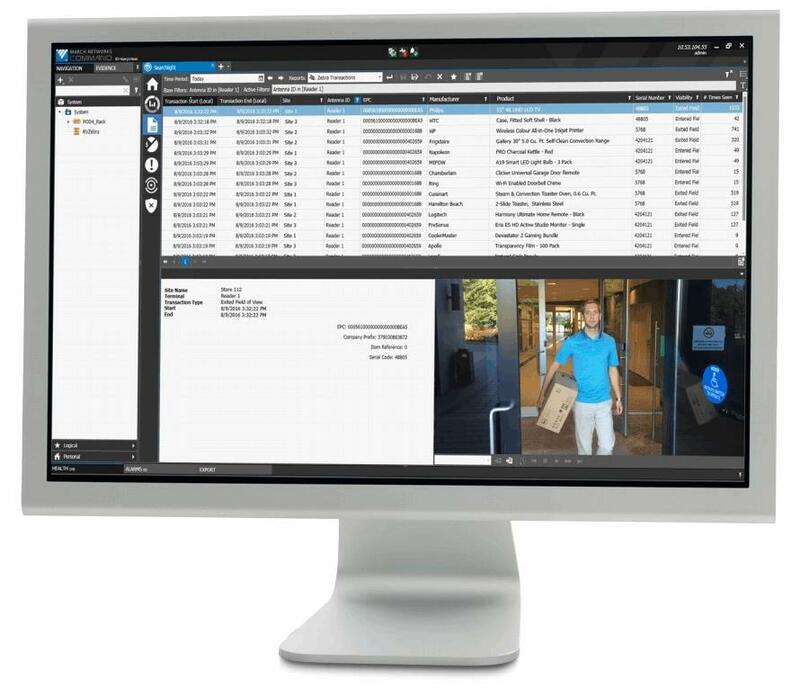 The integration of the powerful March Networks Searchlight ™ for Retail software and high-performance RFID technology from Zebra ® Technologies merges video with RFID. This allows retail organizations to track and manage inventory more accurately, identify patterns, and reduce shrink. Searchlight enables retailers to quickly search for and visually verify events, allowing them to gain additional business insights from their technology investments.